Where is your next adventure! It’s time to get out there and enjoy the water. *Private Group Rentals and Courses are available. Come learn river basics and safety, front ferry, eddy turns and navigating around basic hazards. Designed to advance the teacher, scout leader or individual that has camping experience and now wants to lead their students or friends on a canoe trip. Must have the ability to safely manoeuvre a tandem canoe solo in a controlled manner, demonstrating basic solo manoeuvres (such as forward straight lines, sideslips, pivots, and turns) toward and away from their paddling side in a tandem canoe. Moving Water Intermediate Tandem and Solo Skills or with permission of instructor-trainer based on proof of prior learning of equivalent skill and knowledge. It is up to the paddler to prove to the instructor by means of evidence, demonstration or assessment that experience has led to learning. It cannot be assumed that experience has led to learning. 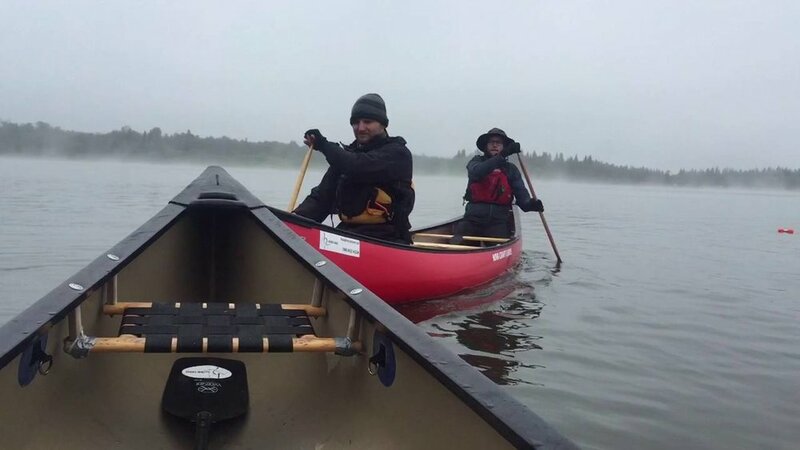 Must have the ability to safely manoeuvre a tandem canoe solo in a controlled manner, demonstrating basic solo manoeuvres (such as forward ferry, pivots, and turns) toward and away from their paddling side in a tandem canoe. It’s time to take your paddling skills to the next level and head toward the exciting world of river running. We will build on your knowledge and skill to get you feeling comfortable in moving water. You will learn about reading the river, river safety and rescue, eddy turns, forward ferries and manoeuvring the canoe around hazards.